Red Magic | Zonyxa. Unique and contemporary jewellery for Work. Love. Play. 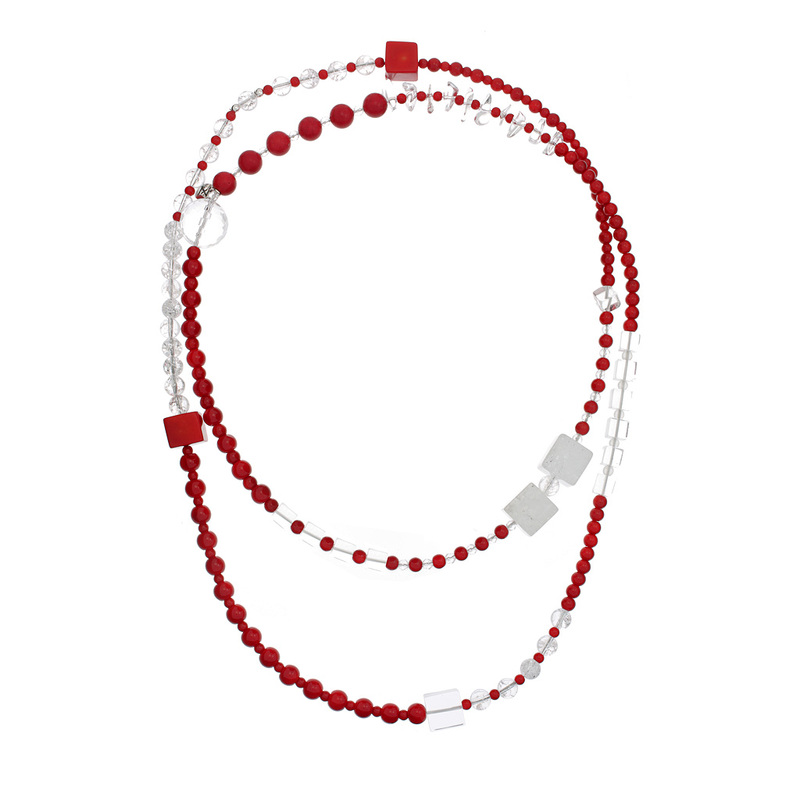 Stunning contrasts define this long necklace featuring rich red coral interspersed with striking cubes of clear crystal, frosty ice quartz and matt coral, irregular chips of quartz, and faceted rounds of crystal and smooth ice quartz. A statement piece to add magic to your special day or night occasion.